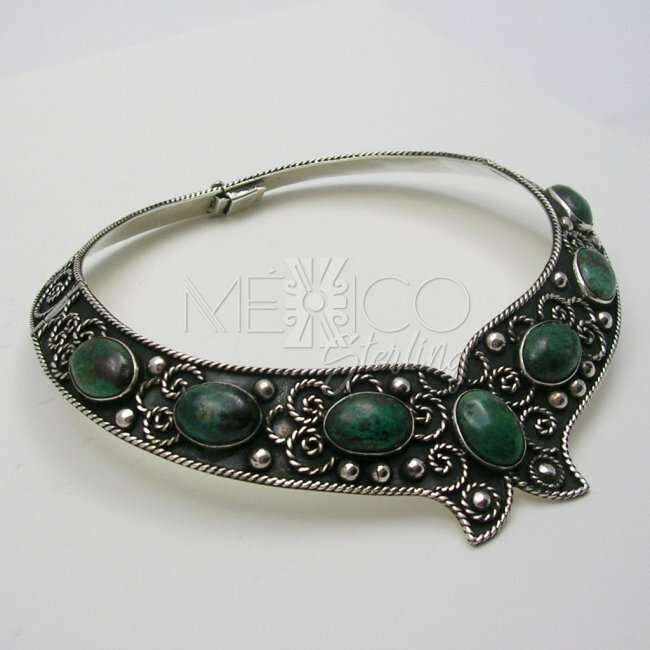 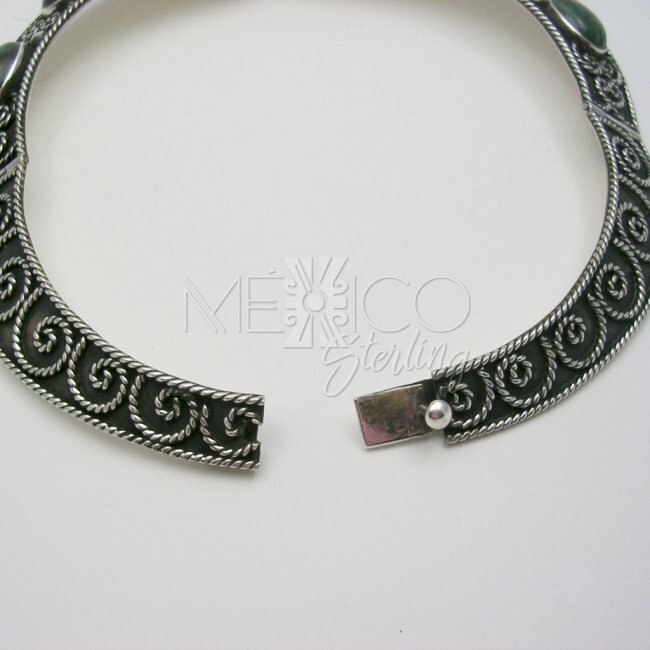 Traditional Taxco Silver Necklace with Stones [NKL3034] - $405.00 : Mexico Sterling Silver Jewelry, Proundly from Mexico to the world. 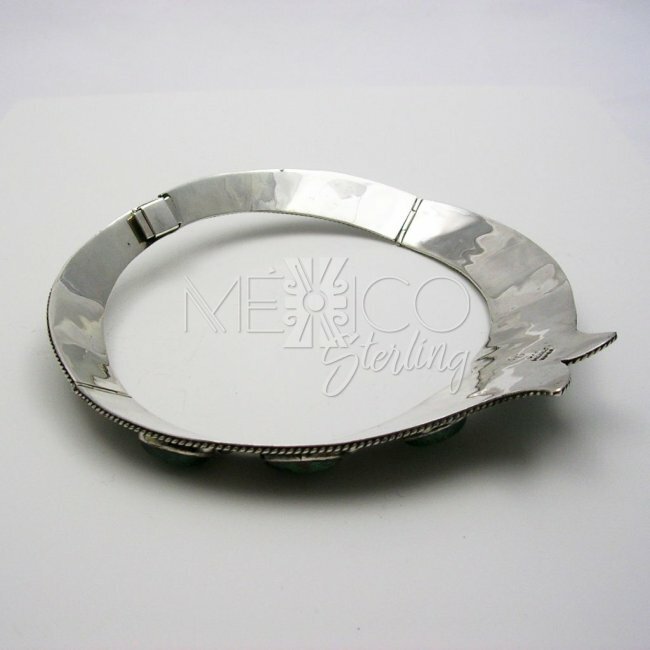 Dimensions: W: 1 3/4" centerpiece, Inside Circumference : 16"
Beautiful sample of great Taxco craftmanship. 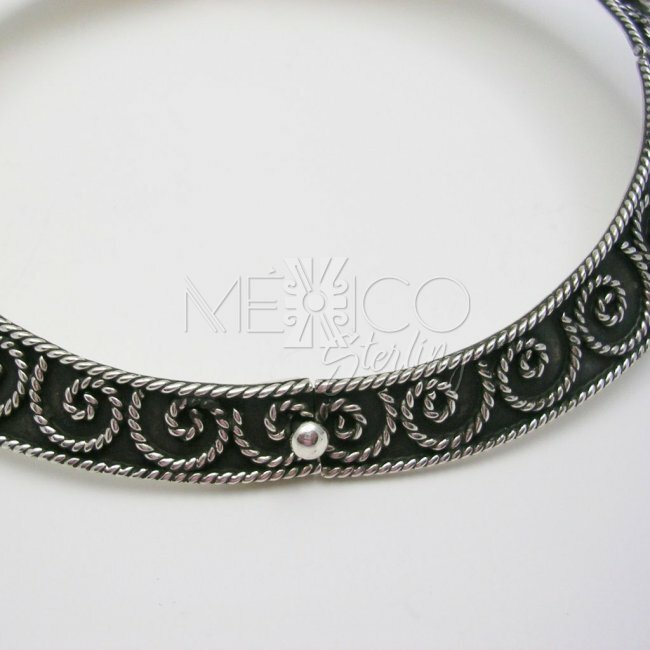 This silver necklace has all the wonderful features that make Mexican jewelry one of a kind.The whole design is a work of art, a nice combination between a classic ethnic look and silver artistry that will make heads turn. 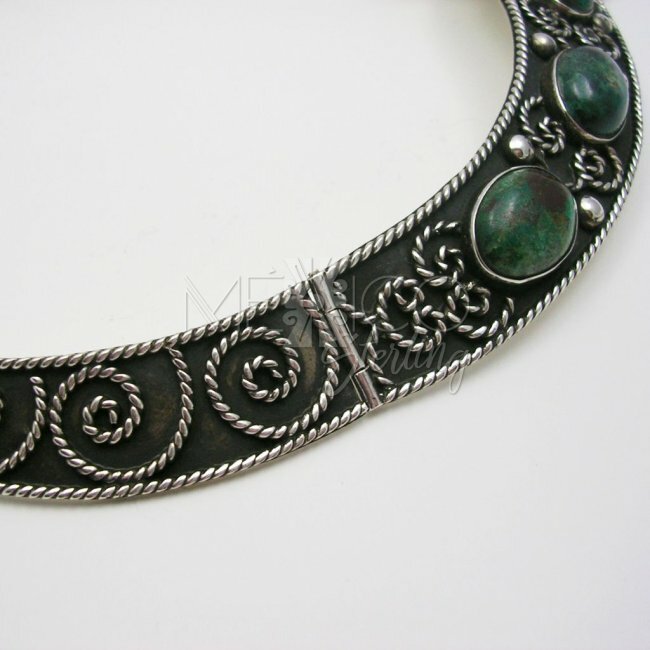 The swilrs, wavy lines that draw flowers and feminine motifs are mixed with a darker background, oxidized silver that gives a nice contrast to all these elements, including the crisocola natural stones that go around the center part of the neck piece. 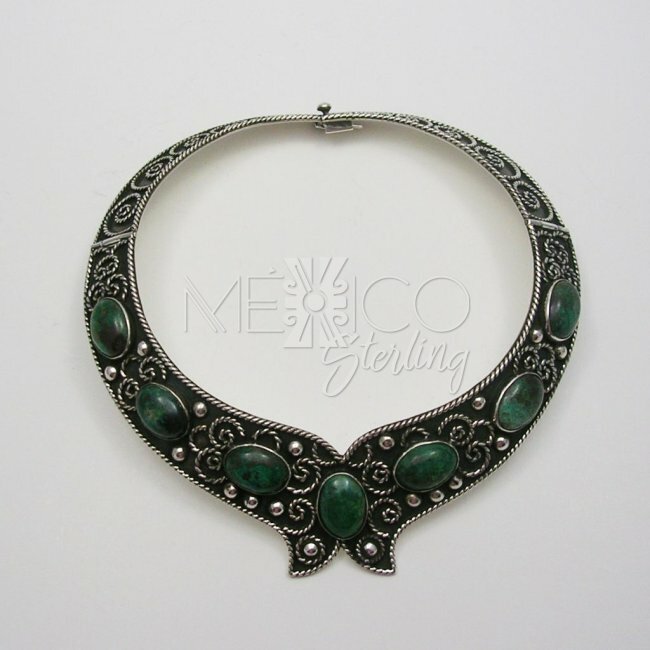 The necklace is full of features that enhance this silver piece enormously. 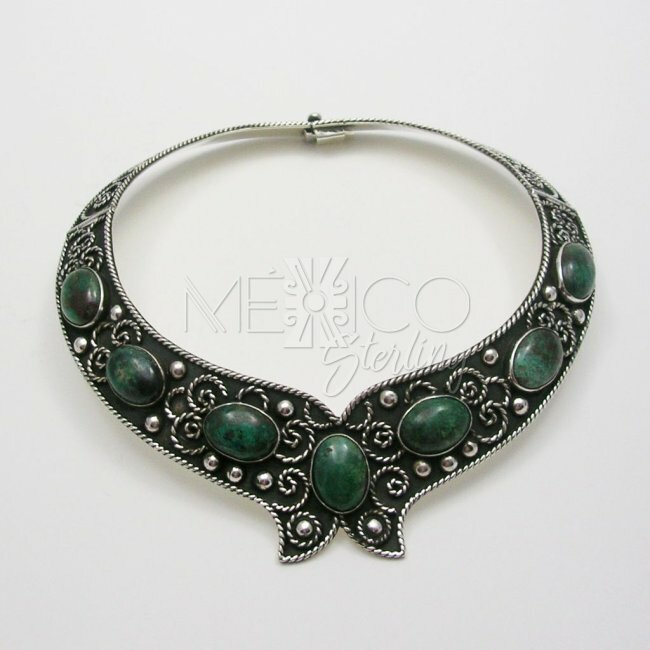 it's a timeless piece of jewelry that gives to any woman that wears it a unique and elegant look. 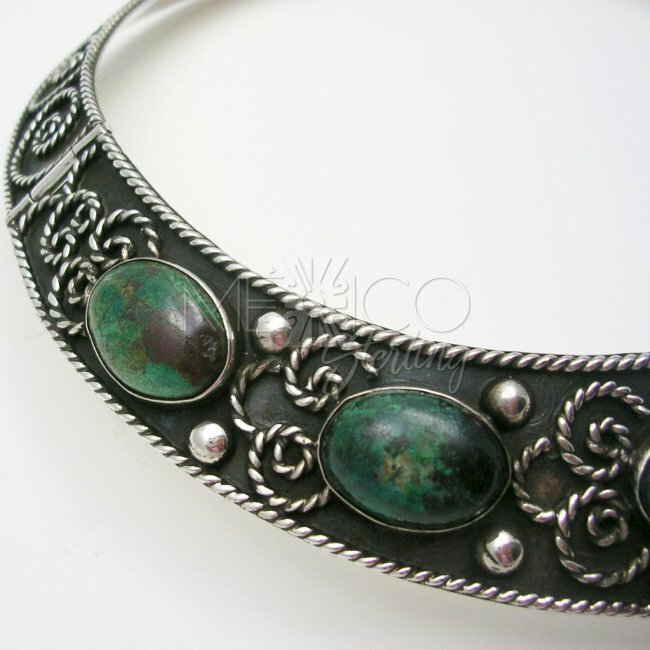 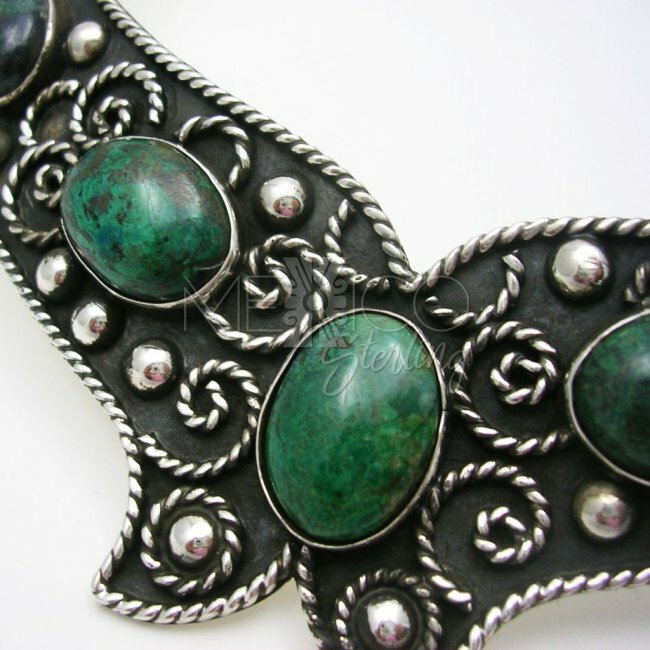 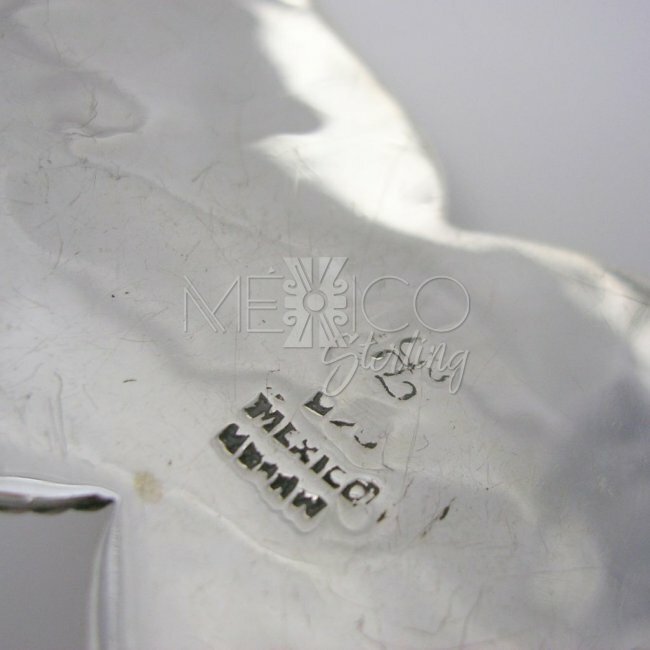 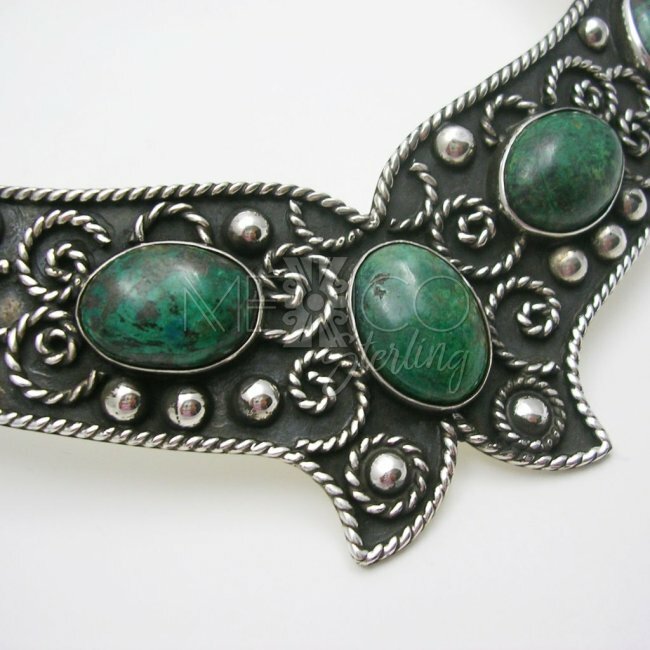 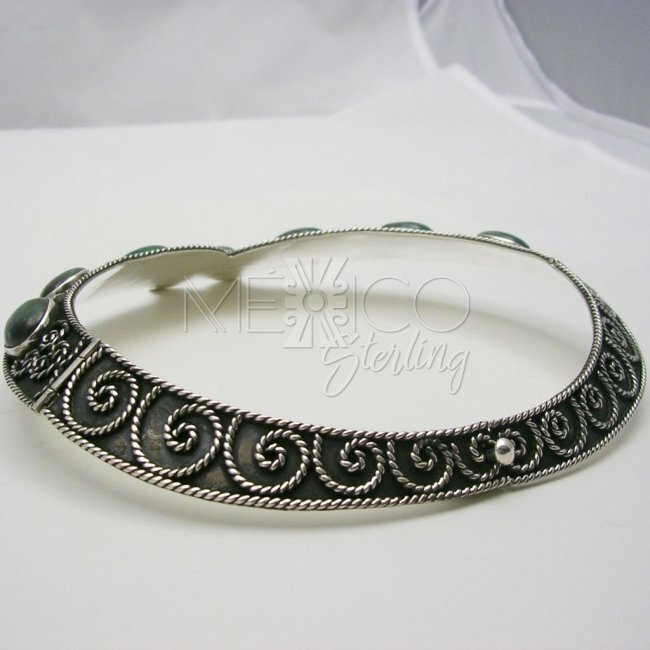 Perfect addition to any Taxco silver jewelry collection.